No snow? No problem! With just a sponge, cereal box, and some paint, you can create this beautiful snowflake scene. 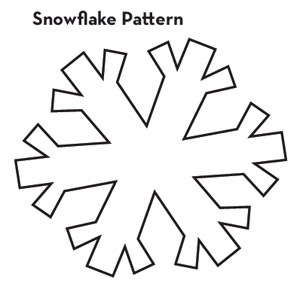 Use the pattern to cut four snowflakes out of the cereal box. Place the snowflakes on a sheet of white paper. Cut the sponge into 1″ wide strips. After the paint dries, remove the snowflakes from the paper.